I was able to get some time in the Hangar tonight starting on the center section. 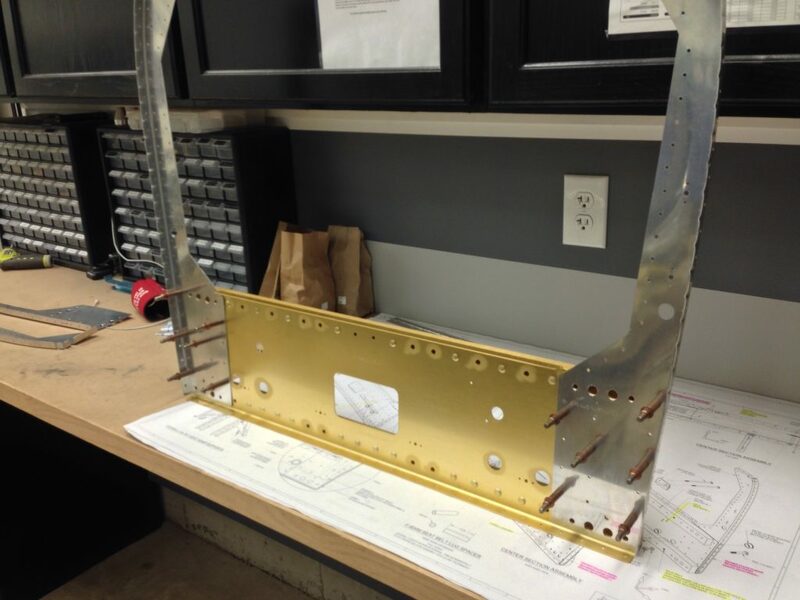 This part of the fuselage is the mating section to the wing main spars. 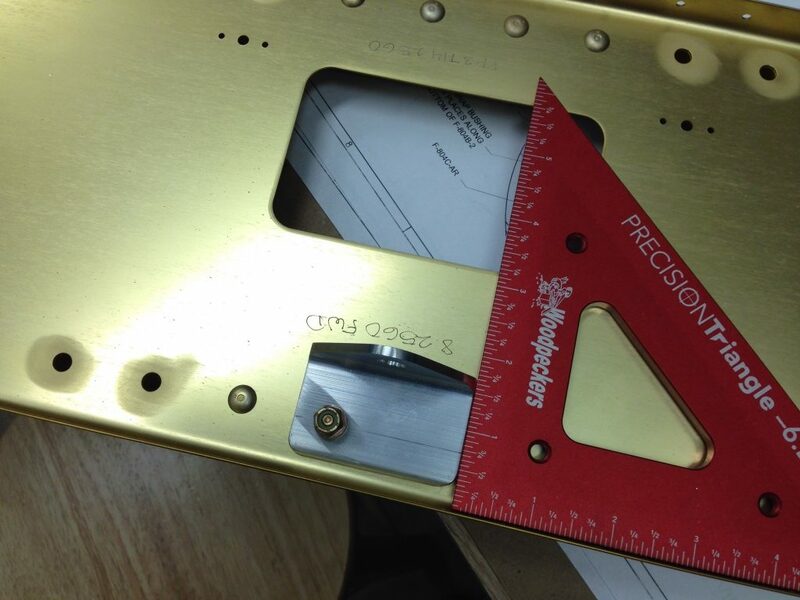 It comes from the factory precision matched to the spars I have and most if it is assembled and anodized. But there is some building and assembly that remains. 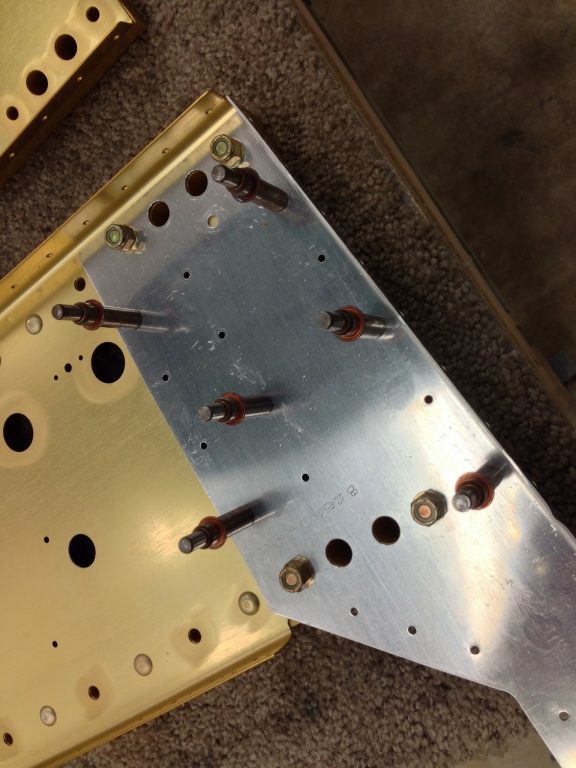 You start with drilling the rudder cable pass thru holes in the web. 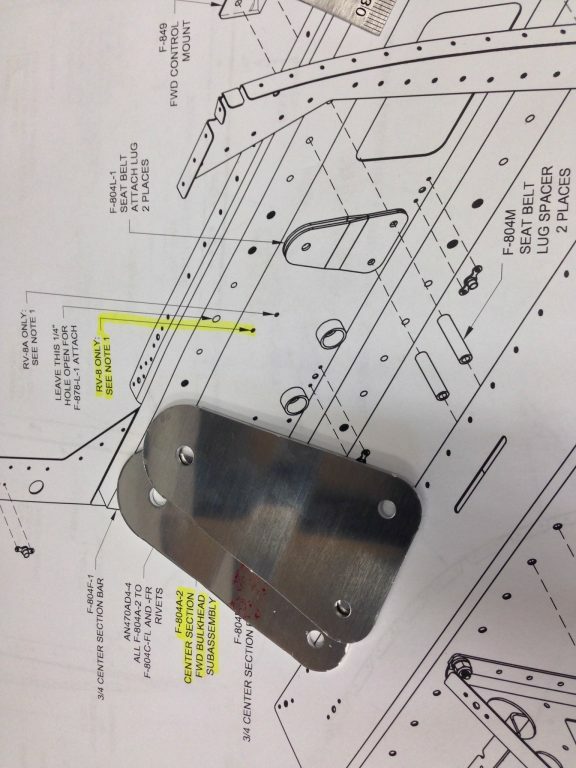 You have to double check the plans as there are 2 different spots where to drill dependent on if you are going tail dragged or tricycle gear. 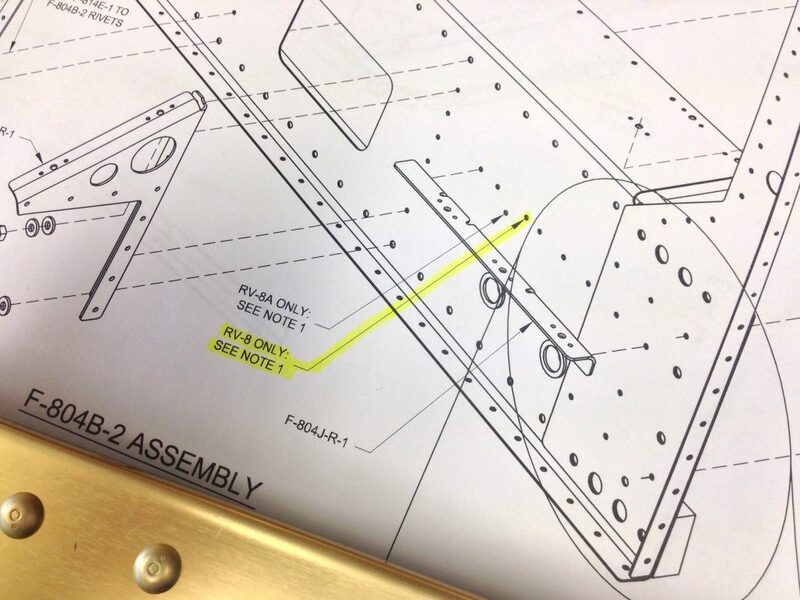 Once I was happy with the read on the plans I marked the correct holes and drilled with my unibit. 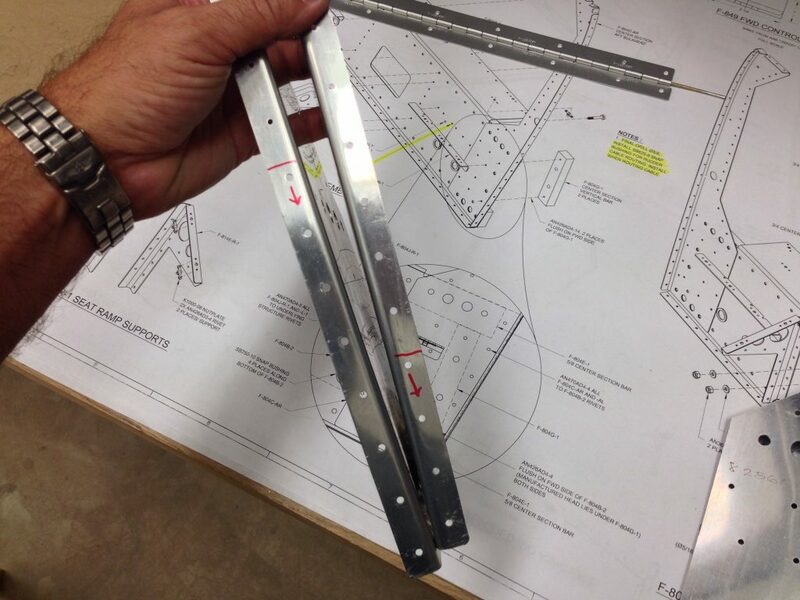 Working with this section is like working with the main spars, you don’t want to screw up as these would be very expensive to replace and they are matched to each other already. 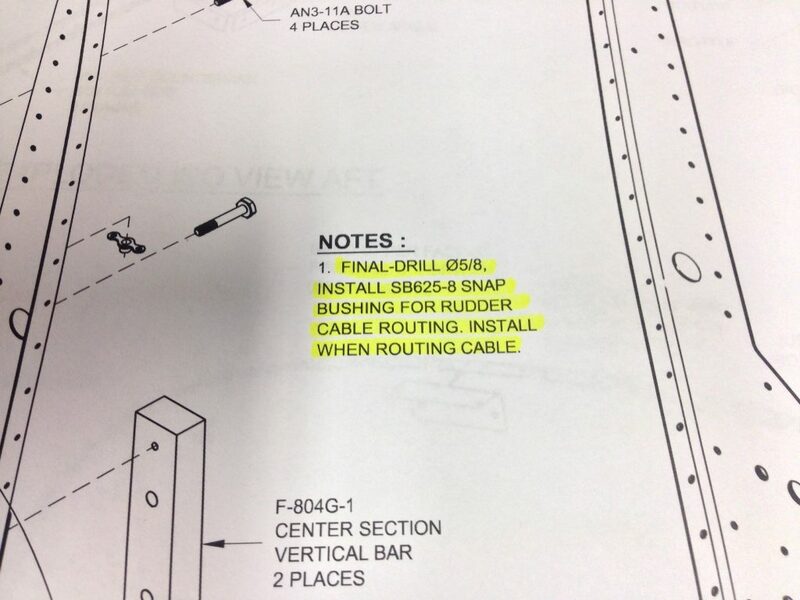 I just read and read and read the plans before doing any work. 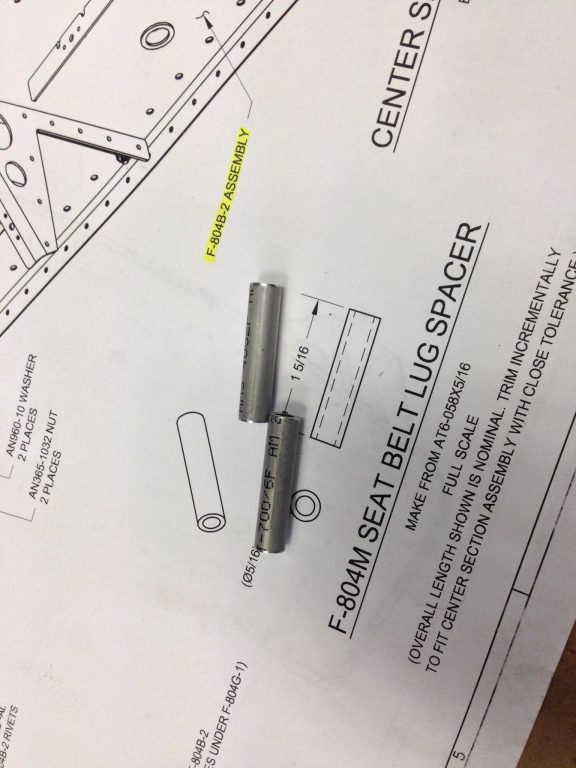 Next steps were to create some seat belt spacers out if 5/16″ tubing. I then debured the edges of the seat belt attach lugs. 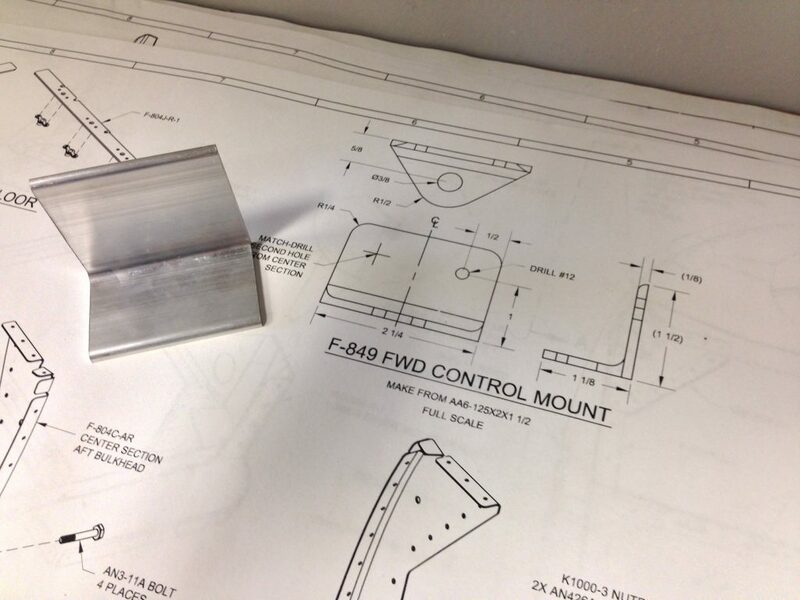 The forward flight control has a mounting bracket that gets attached to the forward side of the center section. 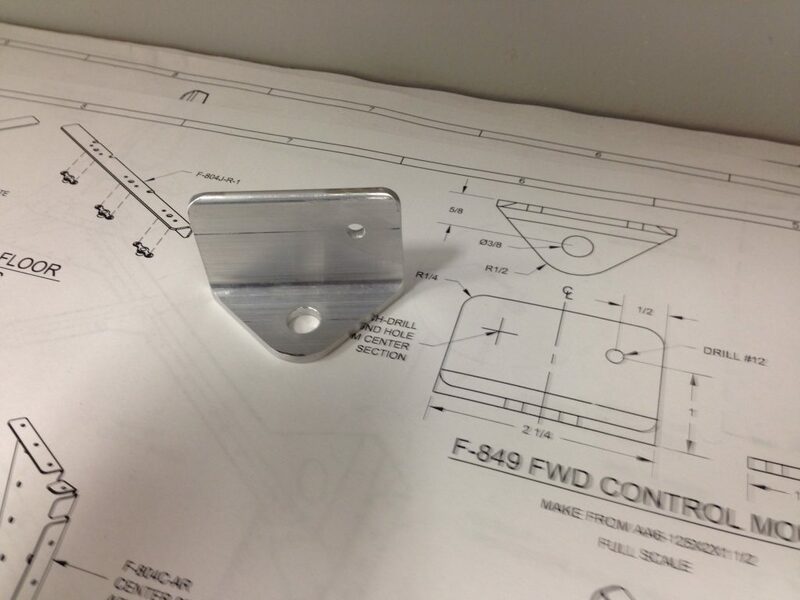 You have to fabricate this out of some angle stock using the dimensions from the plans. 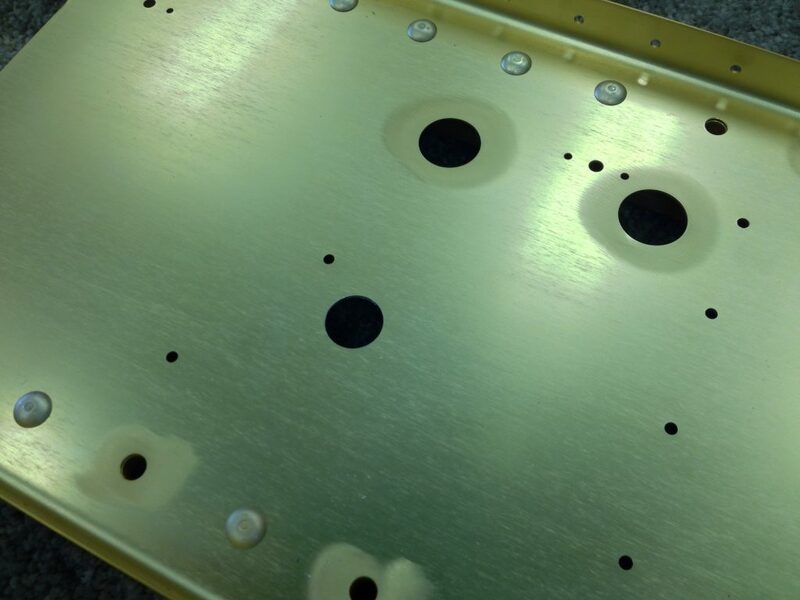 With the one attach hole drilled in the bracket you can bolt it to the center section and match drill the other using the second hole already in the center section after squaring everything up. On both ends of the center section there are a forward and aft bulkhead. 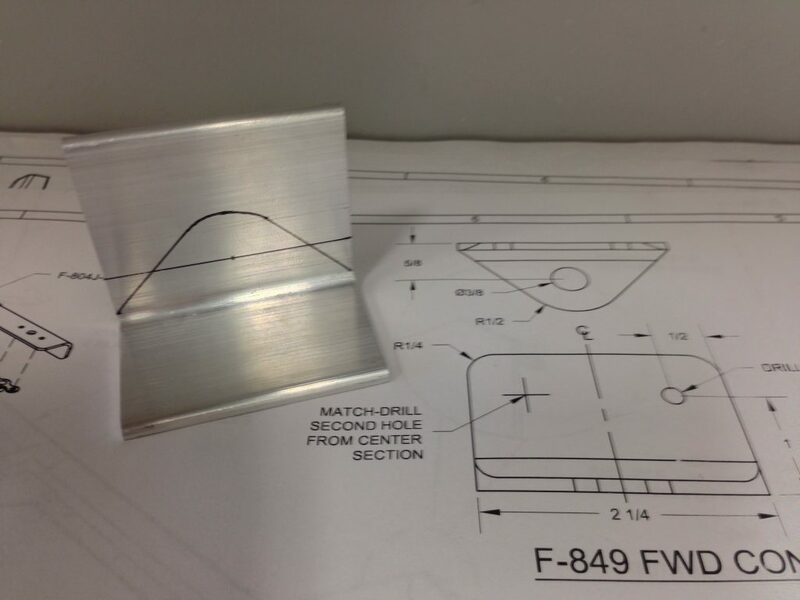 I needed to flute the flanges to get them to lay flat, just be sure to read the plans as there are certain spots that can’t be fluted and the flange must be flat. 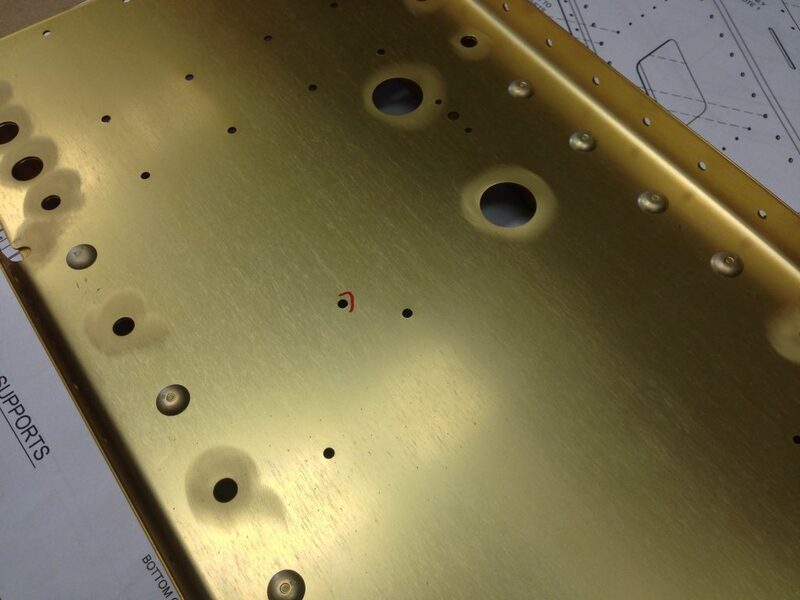 You can then bolt and clecko the forward bulkheads to match drill the 1/8″ holes. I did several other small tasks like match drill for several nutplates and countersunk for their rivets. That’s where I called it a night. I did look over the painted parts from this weekend and I’m still happy with their look. They should be ready for riveting this weekend.